Her Journey – Our Founder, Rev. Dr. Manisha Anwekar, began her spiritual journey very early in her life. As far as she remembers, she began meditating at the age of 5 years, teaching meditation at the age of 10 and spiritual parenting at the age of 20 years. These heightened psychic abilities posed many challenges to her during her childhood as she could not assimilate these strange signals emerging from nowhere. By default, she read people’s thoughts, and scanned them for energy traps and thought patterns. As she grew with these “gifts”, she understood that the material world is NOT a real world. People often indulge in very different stuff to what they portray. As these feelings kept her uneasy and curious, she began searching for her answers from all the available sources and resources. She understood that meditation was such a friend of hers that kept her happy and grounded in testing times. Education – She is a university topper. Graduated in Science and then pursued her masters in Business Management. She also earned her Bachelor’s, Master’s and Doctoral Degrees in Metaphysical Science from FL, USA. 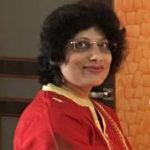 She has a post graduate advance diploma in Vedic Astrology and also is trained in Perfumery, Essential oils and Aromatherapy. Spiritual Experiences – She has had many spiritual experiences like feeling the vibrations in and around her body, sensing soul presence, hearing souls talking, spirit communications, sighting of astral bodies and astral travel. Memberships – She is an esteemed member of the following organizations. She has authored thirteen books so far. She has received many national and international awards for her ethics and dedication in her chosen field. Spiritual Konnect won India’s Best 5000 MSMEs award in 2017. Institutional Ethics Committee (IEC) member as Spiritual Theologist with MCGM’s Comprehensive Thalassemia Care, Paediatric Hematology-Oncology & BMT Centre Satellite branch of LTM Medical College & General Hospital, Sion, Mumbai.